Water heater repair is necessary sometimes. While water heaters are fairly simple devices, essentially just a big tank with a few components here and there, however, like all components, sooner or later they can malfunction. Water heaters are essentially a tank of water with a heating element, a pop off, and a thermostat. While the tank rarely goes bad, it may be necessary to do water heater repair or replacement if untreated rust eats through the bottom of the tank. The symptoms of a leaking tank are fairly obvious: large puddles of water, or rust at the bottom. The thermostat going bad is also easy to detect as the hot water all of a sudden is coming out cold or lukewarm, however, that may also be a sign of a heating element going bad as well. if the thermostat is too high, it can cause the pop-off to activate, relieving the pressure on the tank. Older water heaters without a pop-off may even blow. 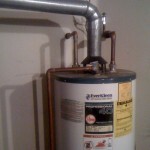 Repair Your Water Heater or Replace It? This is a judgment call you’ll have to make based on a lot of factors. If you have an older water heater, it might be more cost effective in the long run to replace it, and think over your options carefully. Tankless water heaters are a possible choice as they are energy efficient and save a lot of water, however, they are still a bit pricier than standard tank models. However, even newer model water heaters are a lot more energy efficient and conserve water as well. If you have a newer unit, you most likely can opt for water heater repair. 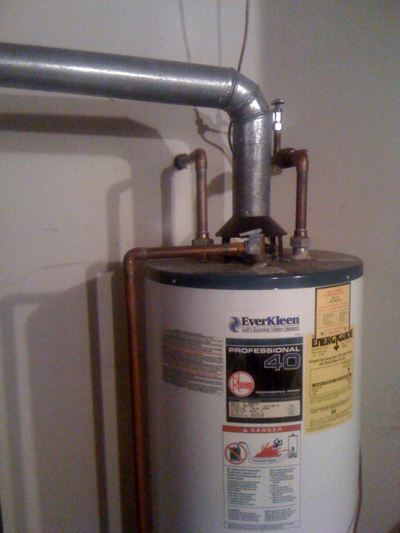 Most of your water heater’s components aren’t too expensive to repair even with labor charges. Can’t I Repair My Water Heater Myself? It isn’t recommended, no. Water heaters have potential catastrophes that lurk under their metal surfaces. So don’t take any chances. Instead of taking unnecessary risks, get on the phone to your local plumber and have them fix it for you. Pur Plumbing is a Florida based plumbing company servicing Trinity and surrounding areas in Pasco County and throughout Tampa. Give us a call today at (727) 475-1474 or (813) 579 1920 and let us show you how painless water heater repair can be.